The Giants were back in Liveprool over a brilliant weekend. The show by French street theatre experts Royal De Luxe, featured a return by the puppet giants, which first visited the city in 2012. August 2014 marks the centenary of the start of the First World War – a turning point in world history. 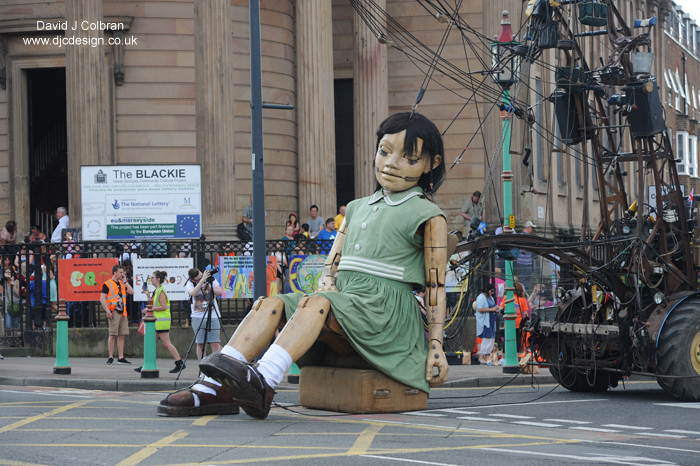 In collaboration with 14-18 NOW, Liverpool hosted one of the UK's landmark commemorative events - a poignant and spectacular piece of street theatre saw the giant visitors embark on an emotional journey around the city. We had super weather and I took a tour around town, catching the Giants but also a flavour of the atmosphere in the city centre. As usual please contact me first if you would like to use or licence any of these images.